I can still clearly recall when Nailaholics offered free manicure service and a stress relieving hand massage from 10 AM to 12 NN on all their branches nationwide during the National Pampering Day. This year, everyone will be treated to a free service of their choice: a soothing manicure, calming foot spa or a relaxing foot massage. In partnership with the number one salon brand and most beloved nail lacquer brand in the world, O.P.I., National Pampering Day 2017 will accommodate more guests with the extension of pampering time until 1PM. To boost this year's National Pampering day, it will be in support to World Vision, The Philippine Animal Welfare Society (PAWS), and Save Philippine Seas. 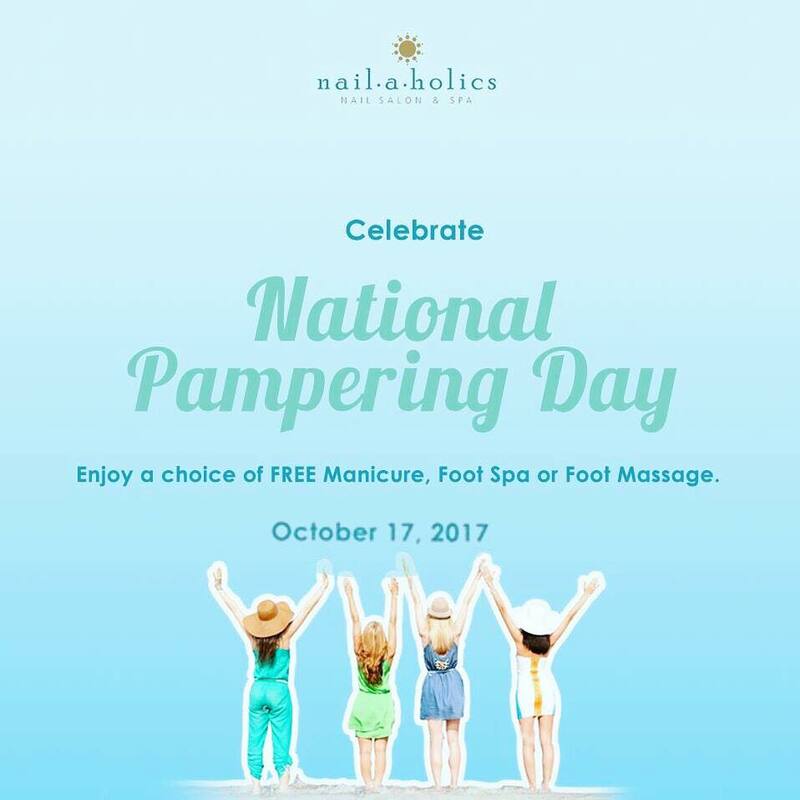 Wind down and head down to any Nailaholics Nail Salon and Spa branch on October 17, 2017 (Tuesday) from 10 AM to 1 PM and get yourself a free relaxing manicure, foot spa or foot massage. So save the date! You may visit www.nailaholics.com to check their services and find the branch nearest you. Get updates through their Facebook Page Nailaholics Nail Salon and Spa, Twitter @_nailaholics and Instagram @_nailaholics.